The sensitive nature of genetic data causes a major concern in genetics - a lot of life-saving information, despite having been collected, is inaccessible. Data discovery and sharing has long been believed to be the key making new breakthroughs. In this session, we tell the story of the Beacon Network, the largest search and discovery engine of human genetic data in the world. The system is a result of years of collaboration between developers, researchers and scientists on a global scale, and the flagship project of the Global Alliance for Genomics and Health, a coalition of over 500 institutions focused on standardizing sharing of genetic data. We'll go from challenges, architecture and technologies behind this open-source project, through the development of a standard for genetic data discovery, to fun statistics capturing what people are searching for in the system. Come and learn about the technical decisions that allowed us to scale and disrupt the perception of genetic data! 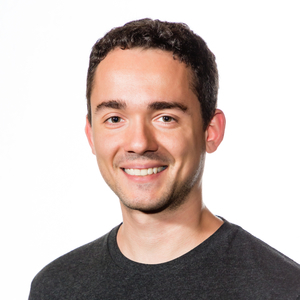 Miro is a VP of Engineering at DNAstack, where he develops a leading genomics cloud platform. He is a Java enthusiast with expertise in distributed systems and middleware, the creator of the largest search and discovery engine of human genetic data, and the author of a book on parallelization of genomic queries. In his spare time, he blogs and contributes to several open-source projects.